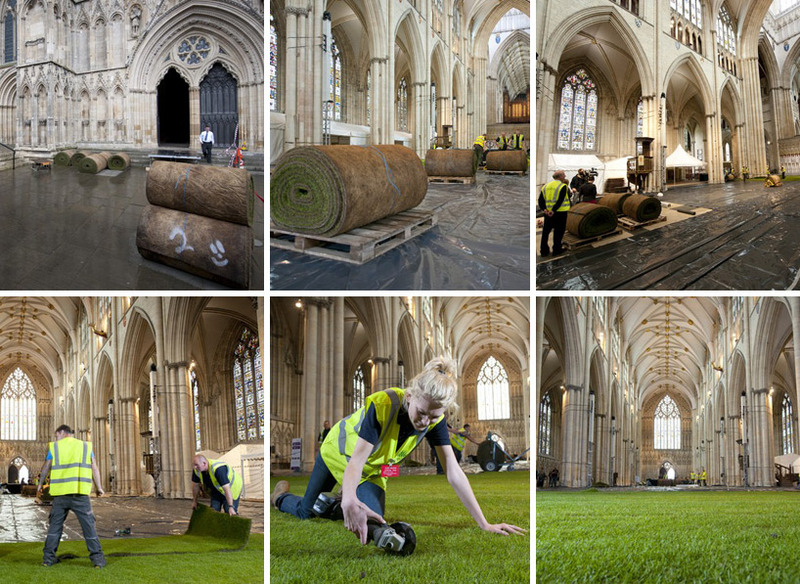 Greenery installation branch wow! 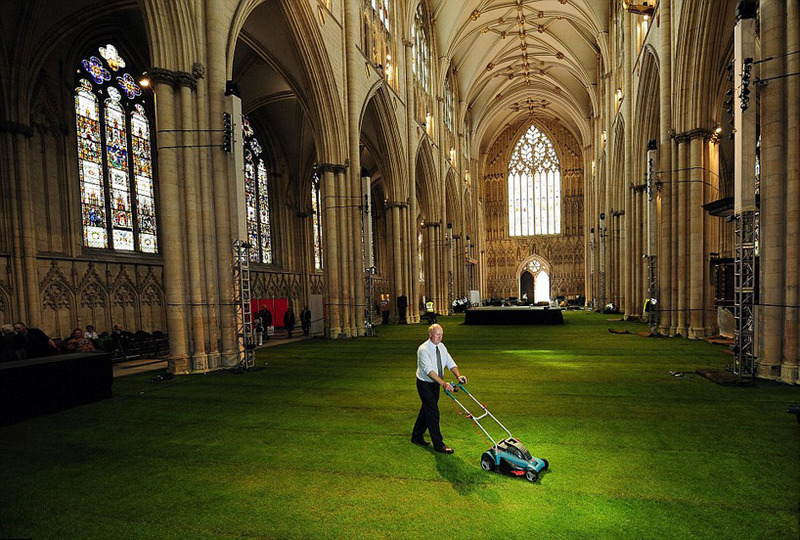 grass! 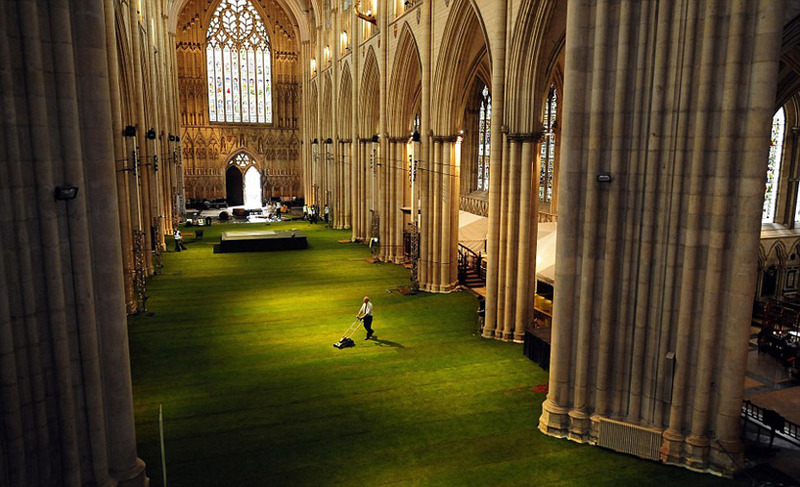 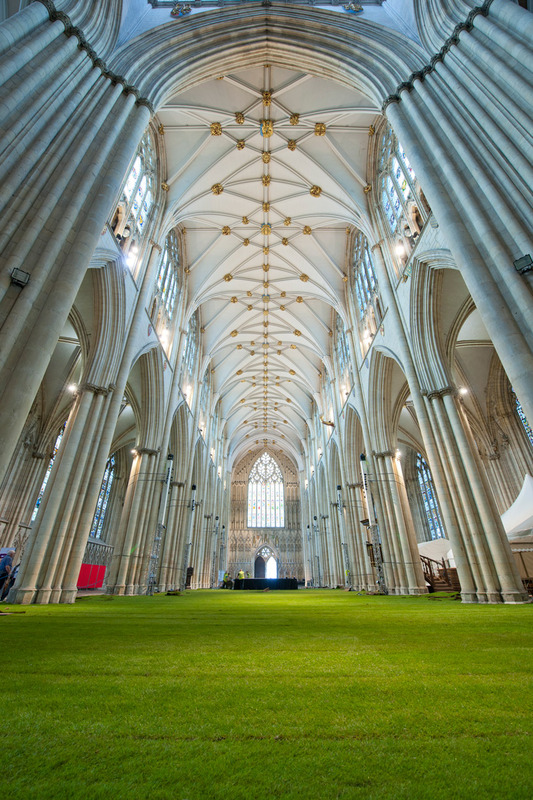 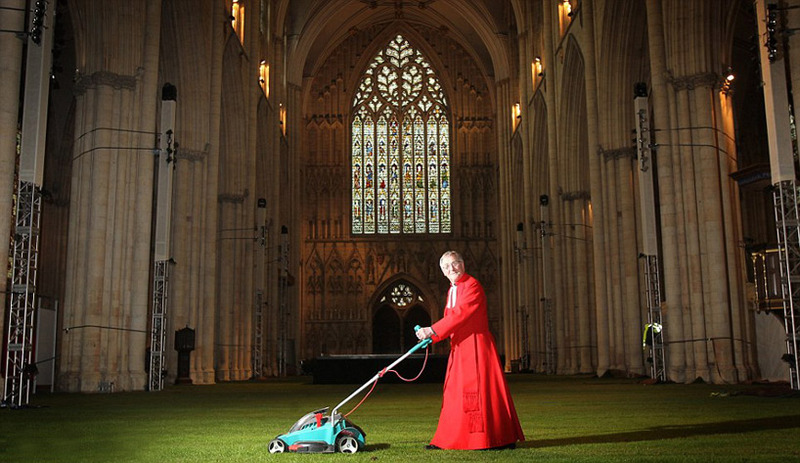 of UK turf company lindum has covered the entirety of the nave belonging to york minster cathedral with a layer of real grass. 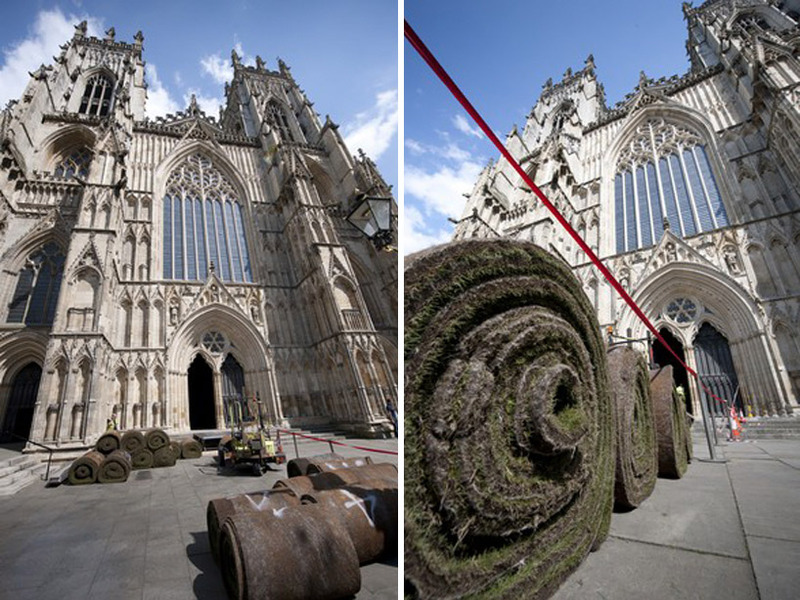 rather than growing turf from a soil base, the company instead starts their roll-able plant sheets from a felt structure formed from recycled british textiles, developed by lindum.